Army Spc. Terry Cunningham, with the 7th Mission Support Command’s 406th Human Resources Company, rides his bike at Daenner Kaserne in Kaiserslautern, Germany, June 23, 2016. Cunningham has logged about 3,000 miles on his bike since this spring. 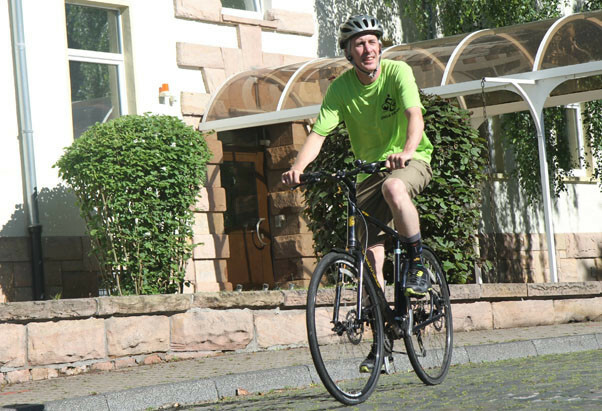 KAISERSLAUTERN, Germany — In just a few months, an Army Reserve soldier went from driving around town to participating in a three-day, 150-mile bike ride to raise money and awareness for science, technology, engineering and mathematics education. Army Spc. Terry Cunningham, with the 7th Mission Support Command’s 406th Human Resources Company, will be riding in the “Cycle for STEM” event July 23-25, organized by the local Armed Forces Communications and Electronics Association chapter. The riders will travel south from Koblenz to Bonn to Weilerbach, Germany, covering 150 miles in three days to help fund STEM scholarships and grants for students and educators. 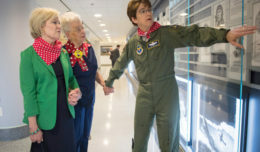 AFCEA offers scholarships for students attending Department of Defense Dependents Schools, but also soldiers and military spouses who are studying a STEM curriculum. “Innovative technology is what we’re trying to support in schools,” Cunningham said. 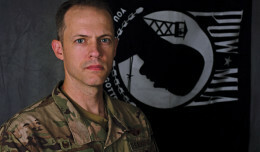 AFCEA has donated about $50,000 in scholarships to students in the Kaiserslautern area in the last two years, he added. Cunningham started to commute by bicycle to work every day in February when his car was in the shop for repairs. Now, even with his car in good order, he’s still biking. Cunningham said his trip to work by bicycle takes about 40 minutes, while driving takes about 20-30 minutes, depending on traffic. Since April, he has logged more than 3,000 kilometers on his bike.